through Monday May 30 to enjoy the holiday weekend. 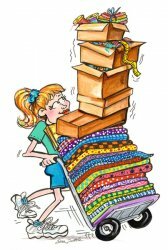 Shop online 24/7 with FREE store pick-up or ship to your door! 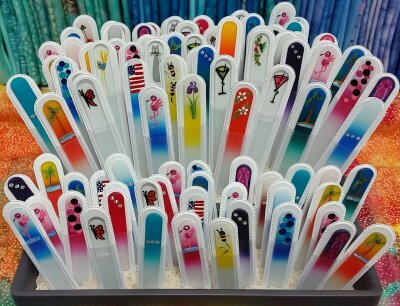 Glass Nail Files at The QC! Made from Czech glass, etched on both sides and hand-painted in the USA. Makes a great gift, available in two sizes & many designs to choose from! Stop in or call us to order. Just $7 for the mini & $10 for the full size. NEW! 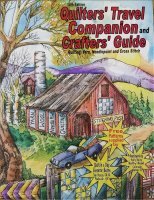 The 14th edition Quilters' Travel Companion has arrived! 2016-2018 & now includes yarn, needlepoint and cross-stich stores! A free shop hop without borders and passports! The theme for 2016 is "Home Sweet Home"! The QC's fabric plate for 2016! Available Now in-store or online - only $5! Free Row Pattern available during event. Pre-cut, pre-fused kits available - only $15.99! Pre-order your kit today to be guaranteed - pick up at shop during event or we can ship to your door! 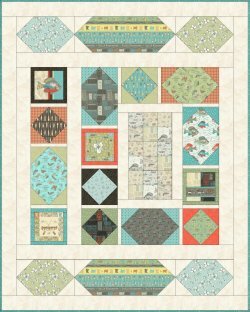 Row by Row 2016 Quilt Kits now available! 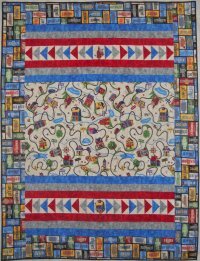 Make yourself this cheerful quilting themed throw featuring Row by Row fabrics! Order in-store, by phone or on our website! Extended Hours, Giveaways & Prizes! 2016 Fabrics available for pre-order! Can you spot the celebratory design? 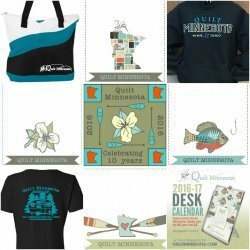 Designed by Ann Kisro of The QC exclusively for the 10th Anniversary of Quilt Minnesota. Uses all 28 shop hop fabrics from 2016! Limited Quantities- Pre-order your kit in-store or online today!